Whether it is a formal event, a wedding event, an anniversary party, as a host, you want your table setting to look most delicate and elegant. 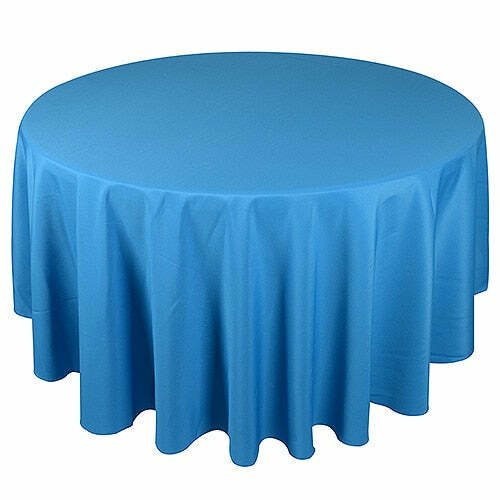 Corresponding to that, or high-quality collection of 70 inch round tablecloth, developed from the finest seamless polyester fabric, provides a classy finish. Enhancing the overall look of the table for any type of setting, such as wedding receptions, restaurant, banquet hall, and more, our 70” round tablecloth offer high-end durability, stain and mildew resistance, and merrowed edges for a smooth finish. We provide cost-effective services to our customers and cater to small as well as bulk orders efficiently.